Ok, I thought, as I saw the news filter through that the Prime Minister had decided now was the time to go all William F Buckley Jr and ‘sock it’ to children’s services; that makes sense. There had been rumours from different sources of an impending announcement. A contact with knowledge of the government’s forward agenda told me a month ago that “now was the time” to share anything new on child protection. It’s quite an occasion when the normally temperate David Cameron decides to turn up the rhetoric. Particularly on the old stomping ground of Michael Gove, a minister with such a chimeric brand of diction that he was once described as “Dr Gove and Mr Hyde”. Gove, despite making the early running to create a market for children’s services, studiously avoided the trap of becoming the de facto corporate parent of every ‘at risk’ child in the country. David Cameron has not. In fact, he has jumped in head first by claiming that “we, the state, are the parent of vulnerable children”. The question is, why? If David Cameron’s most useful political victory has been to make the NHS a score draw between the Tories and Labour, his most personal one has been to redefine what the family means to Conservatives. In 2008 at his party’s Spring Forum, then leader of the opposition, David Cameron laid out his vision of a Family Friendly Britain. The speech was reported as it had been briefed, one that spoke of the Conservative’s modernised view of the family. Rich in Cameroonian disdain for the commercialisation of childhood however, the bulk of the speech went much further. In it he railed against the “exploitation” of the family, calling out “ruthless marketers and shameless retailers”. The evolution of Conservative thought on the family has moved beyond a rudimentary focus on structure. No longer is it anti-single parent, or opposed to non-traditional family arrangements (eg – homosexual adoption). This has been driven not by a modernist reaction to existential changes in society but rather a particularly Cameroonian focus on children. This is perhaps best expressed as, what works for the kids works me. As the BBC’s Ben Wright said at the time “Make no mistake. David Cameron likes families”. Family life has been central to the Prime Minister’s political identity for as long as he has been leader of the Conservative Party. The rhetoric around this latest intervention is clear, this is not about support or transformation, it is about failure. I hypothesise that the Prime Minister sees the abuse of children and blames local government for not doing enough to prevent it. Those councils with failing children’s social care will have their authority over it removed and be replaced by independent experts or another organisation. It would be impolitic to think this referred to a handful of councils. Record numbers are falling into the failing category, with increasing numbers just keeping their noses above water. This is a message meant for all councils. The government, as Nicky Morgan put it, will be “much less tolerant of failure”. David Cameron has acknowledged that “this will be one of the landmark reforms of this parliament, as transformative as what we did in education in the last”. For the Prime Minister and Secretary of State there is unfinished business here. The ground work for the creation of an independent market in children’s services began during the coalition government with a number of established commercial and charity service providers invited in for discussions on what shape such a market would take. Michael Gove, a strong advocate of the proposal, who had brought a clarity of focus to school’s policy, wished to do the same with children’s social care. Alongside a kindred spirit in Sir Michael Wilshaw they advanced the belief that freedom from local state control was not only what front line workers wanted but could inspire greater standards in public services. In terms of raw numbers, they have a point; in 2010 only 6% of state funded secondary schools were academies compared to nearly 60% in 2015. Are we now witnessing a rebirth of the same intellectual paradigm that dominated public services in the first two years of the coalition? 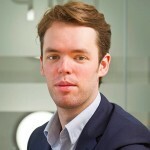 The Big Society, decentralisation, right to bid, right to challenge, mutualisation, etc..? The Chancellor’s recent announcement that colleges may become academies shows that it still has traction at the top. Those privy to Oliver Letwin’s slides on public service reform circa 2010 will remember the one that begins with a big explosion and following a click, the explosion clears and in the middle of the white screen appear the words ‘The Market’. To some this is a typical Tory trope, a nakedly commercial programme, designed to shrink the state and privatise services. This would be a politically convenient but intellectually soporific interpretation. For modernisers of all political colours reforming public services has always been as much about providing “greater access to and targeted support for disadvantaged families” (David Laws, 2014) as it has been about creating a more sustainable state. So back to my opening question; why is the Prime Minister making himself the corporate parent of every vulnerable child in Britain? In short, a lack of faith. Specifically, in local governments ability to reform children’s services. His recent exasperated letter to the leader of his own council in Oxfordshire is a case in point, it reads as if written by a father let down by his progeny. For him, the issue of children’s social care is far more politically personal than many of his critics would like to acknowledge. Indignant responses from within the sector that blithely demand more money without admitting that something more profound needs to change only serves to embolden his central assumption that it is the sector at fault. The bete noir of privatisation has been sighted and used to challenge David Cameron. This is a fair retort; private profit should not come ahead of children’s safety. But it is not clear that this particular beast will bite, especially as the proposals so far focus on the third sector or other councils taking control. For sure it opens the door to possible private sector involvement but it does not guarantee it. Employing Bertrand Russell’s evidence against interest it is difficult to find the Prime Minister wanting. What personal benefit is there in tying himself so closely to this agenda? It’s all risk. For those of us whose business is public services we should now, as it says in Philippians, think on these things. There is of course a tension with the Prime Minister’s position. To traduce an entire service based on the subjective assessment of the much maligned Ofsted leaves him open to criticism. The regulator’s contention that not enough children are being taken into care runs at odds to his belief in the family as a bulwark against the state and the economic reality of delivering services when funding is being cut. The risk is that by bearing down on councils to ‘do more’ they will end up turning themselves into an emergency service and scrapping all of the preventative activity that is focused on helping people to become better parents. Could it be that David Cameron is simply guilty of being wrong but for the right reasons? Will taking children’s services out of council control change anything? 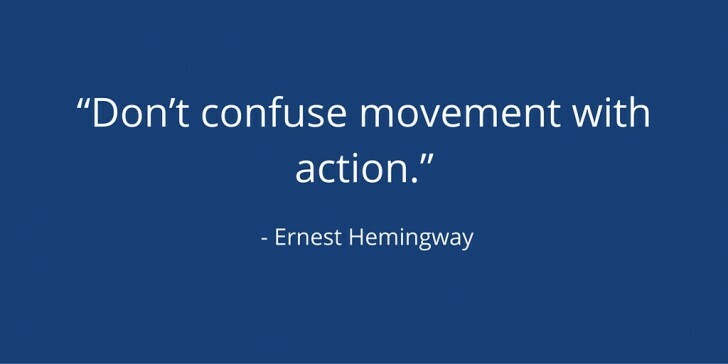 Hemingway warned that one should not confuse movement with action, as such I don’t see this policy having an immediate impact, much as it hasn’t in Doncaster. However, if as I contend, the Prime Minister believes that local government is simply incapable of doing what he feels is needed, then such an act is logical. As Machiavelli argued that whosoever desires constant success must change his conduct with the time, so too must local government now listen and reflect. Merely removing failing children’s services from a council’s control does not solve its problems. This, however, does not mean it is the wrong thing to do. There is much more driving this than reductive ideology, we would do well to remember that.